If you often find yourself lying awake at night wondering what the moon will look like in a thousand years, you can rest easy now. NYU design student Yingjie Bei has built a device that’ll tell you everything you were wondering about the lunar cycle, and probably, much much more. 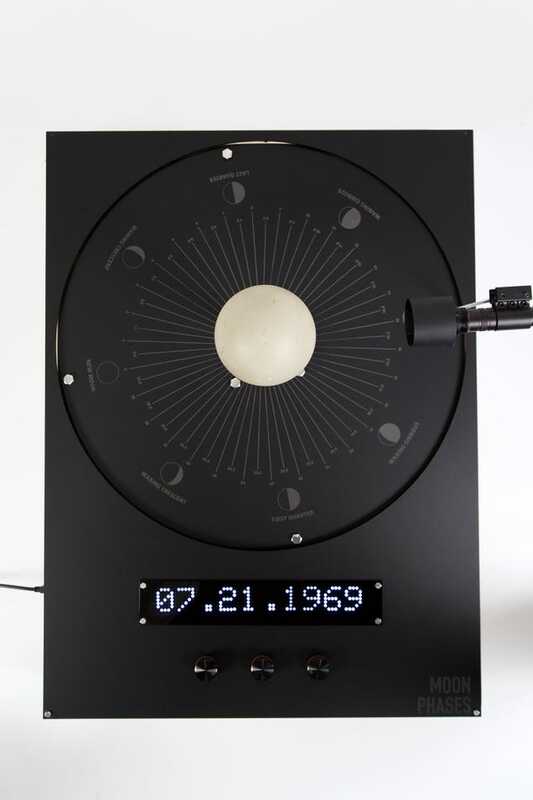 For a recent project, Bei and his fellow student Yifan Hu created Moon Phases, a contraption that allows the user to select any date between January 1st, year 1, and December 31st, year 9,999, and see what the moon looks like on that night in the Northern Hemisphere. According to Wired, Moon Phases was inspired by an orrery, a mechanical model that shows the relative positions of planets in the solar system. In this particular spin, a servo motor rotates a cement moon such that the light source shines on it in the same position as the sun would. Images via Yingjie Bei. You can check out more of Bei’s work on his website.